The Swedish military waited for a long time to get respectable results out of their tank industry. Sweden began working on its own tank in the late 1920s, but it took almost 10 years to see satisfactory fruits of their labour. Thanks to the fact that the Germans were using Swedish industry as a test lab for their own experiments, Sweden gained rich tank building experience by the second half of the 1930s. 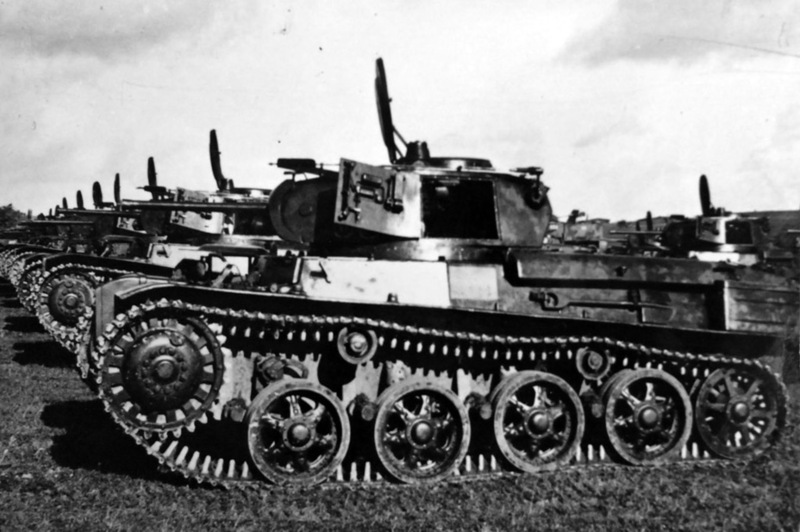 The Lansdverk L-60, developed under German engineer Otto Merker, became the first Swedish tank available for export. The design of the tank became the base of two similar tanks, the Strv m/38 and Strv m/39 that were used by the Swedish army. The Swedes didn't rush to adopt the L-60 into service. Their hesitation was understandable: Merker's L-10 (Strv m/31) and L-30 (Strv fm/31) tanks were interesting, but not devoid of drawbacks, and their price was hard to swallow. Only after the first L-60 was sent to Ireland did the Swedish military turn their attention to the domestic tank. An order for a Swedish modification, indexed Landsver L-60S, was made in July of 1936. Otto Merker's tank had exceptional characteristics for its time and had several original ideas used in its design, including the first torsion bar suspension on a tank. Nevertheless, the Swedish military had their complaints about the tank. First of all, they were completely dissatisfied with the fact that a Swedish tank used a German engine. In case relations between the two countries went sour (Sweden was not ignorant of what was happening in Europe), their tanks would be left without an engine. The Bussing-NAG L8V-G was not irreplaceable. Sweden had domestically produced engines with similar parameters, like the Scanian-Vabis 335 truck engine, which was in production since 1931. In 1936, these tanks received a 6-cylinder 7.75 L 140 hp Scania-Vabis 1664 inline engine. It was a little larger than the Bussing-NAG L8V-G, but had very similar characteristics. This was the engine used on the Landsverk L-60S. 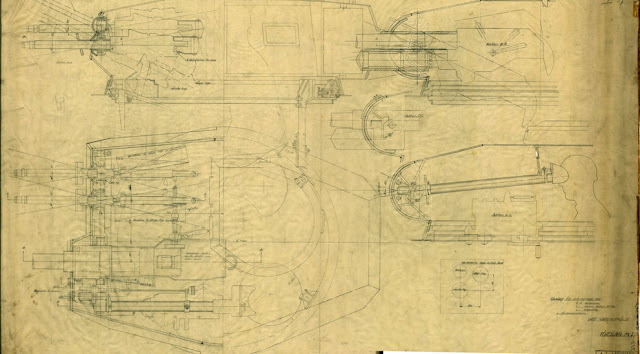 Turret of the Landsverk L-60S, blueprint S-21116, March 6th, 1937. This turret was installed on tank #62. There were also complaints about the turret. The L-60 developed for Ireland had no radio. Since there was no room to put one in the hull, the only solution was to put it in the turret. The addition of a rear bustle was an obvious solution. The armament of the L-60 was also unsatisfactory. In their opinion, instead of the Danish 20 mm Madsen gun, it should have the tank version of the 37 mm Bofors anti-tank gun. The gun was more powerful, and it was produced domestically, which removed the risk of suddenly losing access to shipments from Denmark. 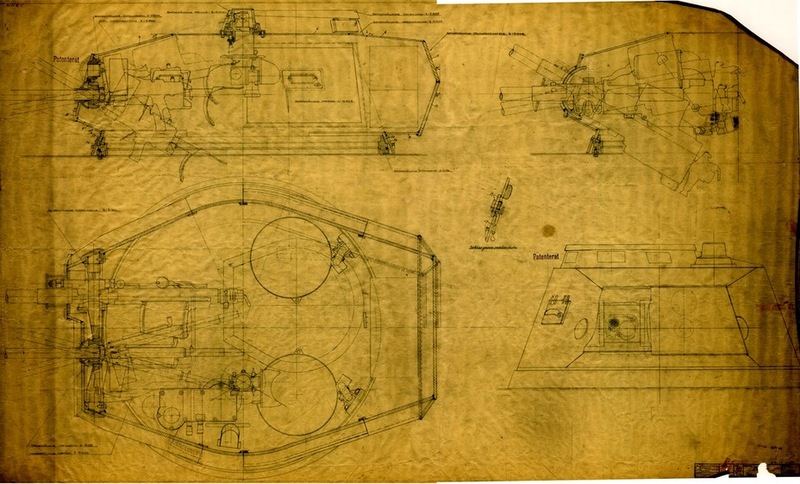 Draft of 20 and 37 mm autocannons in the Landsverk L-60S turret, blueprint S-1042, April 19th, 1937. Work on installing a radio in the L-60 began in the beginning of 1936. The turret received a bustle like Poland had on its 7TP, but the Swedes soon did away with this half-measure. The L-60S began taking its final shape by the spring of 1937. The tank known as Strv m/38 was not the first result. Initially, Landsverk engineers had a slightly different vision. Tank #62, the first L-60S, had a turret designed in 1937 and looked different from the production model. Landsverk L-60 #62, summer of 1937. The front of the hull and the turret differ from the mass production Strv m/38. The turret received a large rear bustle in accordance with the military's wishes. It contained the radio station, with an antenna port on the left side. The loader (also the commander) received a cupola. The armament remained the same; despite the military's demands the tank still had a 20 mm Madsen gun. However, it was shifted to the right and the designers did away with the unified mantlet. Experimental tank #62, view from the side. It is easy to see why this was done if one looks at blueprint S-1042, dated April 19th, 1937. Landsverk engineers attempted to make a universal turret, allowing the installation of several guns. The 37 mm Bofors m/38 gun was not among them. That list included the Madsen and Solothurn 20 mm autocannons, as well as the 37 mm Bofors autocannon, among others. The final design of the Landsverk L-60S accepted for mass production. Finally, tank #62 was built by July of 1937 using the turret designed in March. The armament was still a 20 mm Madsen gun and coaxial ksp 8 mm m/36 strv machinegun. The hull had some differences from tank #61: the front was closer to the tank's lighter brother, the L-120. As a result of trials, these changes were discarded, as its robustness decreased. The initial variant also had a vulnerability that the designers never removed. The headlight, covered with an armoured casing, was placed in the middle of the upper front plate. 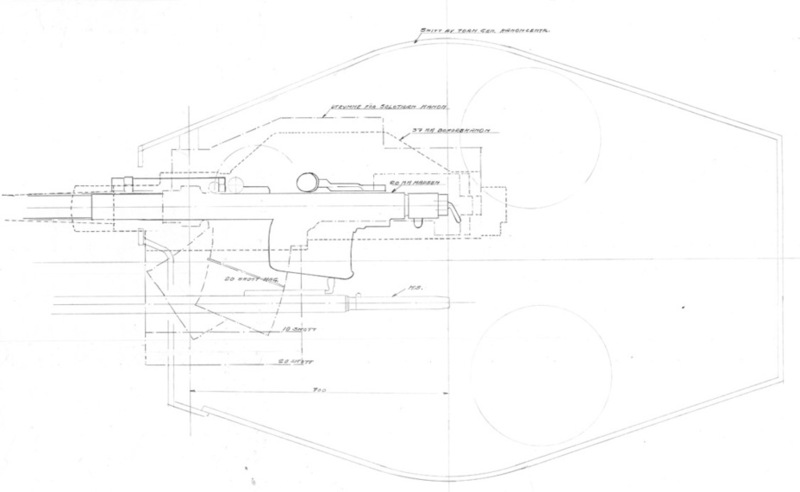 The turret of tank #62 was also not put into mass production. The new gun mantlet was not very reliable, and the coaxial machinegun that could be aimed independently of the main gun gave very few advantages. Strv m/38 #77 in the Landsverk courtyard, March of 1939.The tank had a special hook to keep the antenna stowed during travel. 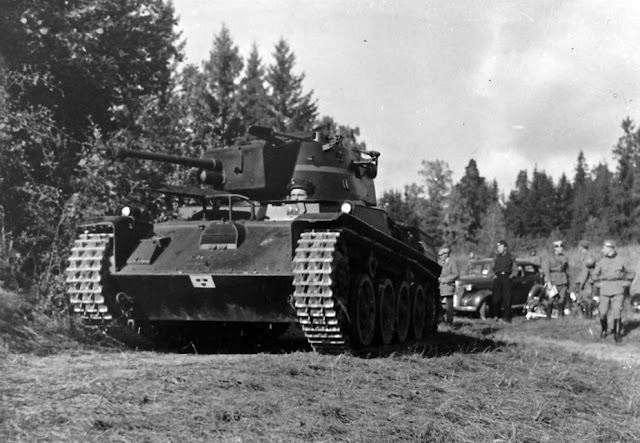 On September 10th, 1937, the Swedish military decided to buy 15 L-60S tanks, indexed Strv m/38. Tank #61 became sixteenth in that series when it was upgraded to an acceptable standard in 1938. As for tank #62, it was later used for various experiments, including conversion into an SPG. The upgraded L-61 received a turret with a Landsverk L-60 type gun mount, but instead of a Madsen autocannon it finally had the 37 mm Bofors m/38 gun. The front of the tank also looked like an L-60, without the transmission access hatch. The same tank from the front. 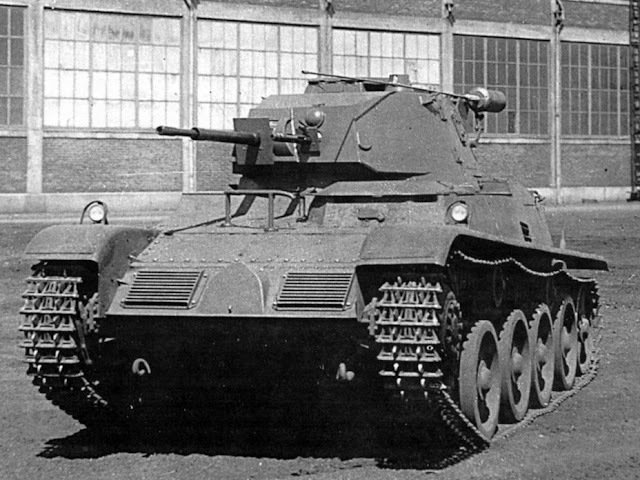 Mass production of the Strv m/38 began at Landsverk on August 25th, 1938. The last tank, serial number 77, was finished in March of 1939. The volume of production was hardly mind-boggling, which forced the military to seek an alternative abroad. One can't blame Landsverk for stalling. Despite Sweden's developed industry, its potential should not be overestimated. Sweden didn't plan on going to war, and 15 tanks was a large order for Landsverk; this was more tanks than the factory put out previously combined. The question of finances was also a sore spot. Strv m/38 #77 from behind. 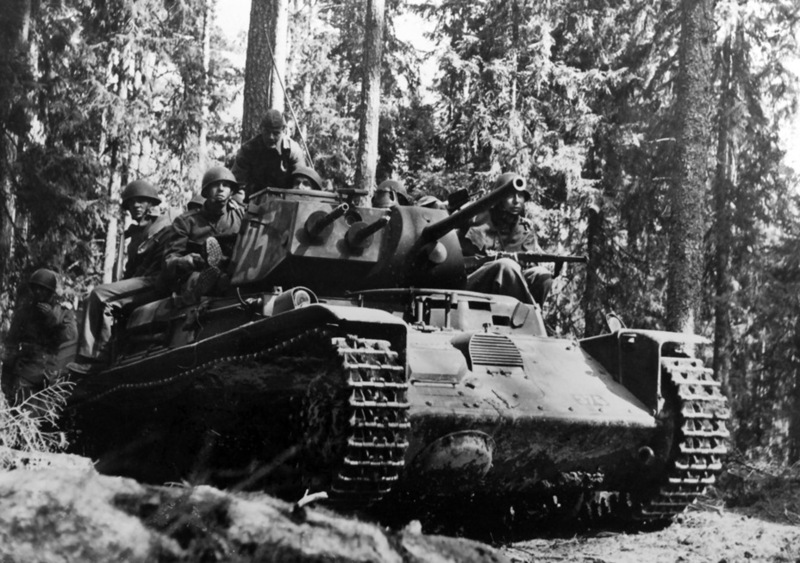 In 1939, the tanks began arriving to the Swedish army. The first eight Strv m/38 were put into the Gotland Live-Guard Infantry Regiment (Göta livgarde, I 2), located in Stockholm. In the fall of 1939, its vehicles were transferred to other units. The first was the Skaraborg Infantry Regiment (Skaraborgs regemente, I 9) in Skövde. In 1942, this infantry regiment which has existed since 1624, was reformed into the Skaraborg Tank Regiment (Skaraborgs pansarregemente, P 4). The remainder of the tanks were sent to the Södermanland Infantry Regiment (Södermanlands regemente, I 10) in Strängnäs. This unit also had a rich history since 1634. In 1942, the regiment was also reformed into a tank regiment (P 3). Today, the storage facility of the Arsenalen museum is located where the regiment was once quartered. 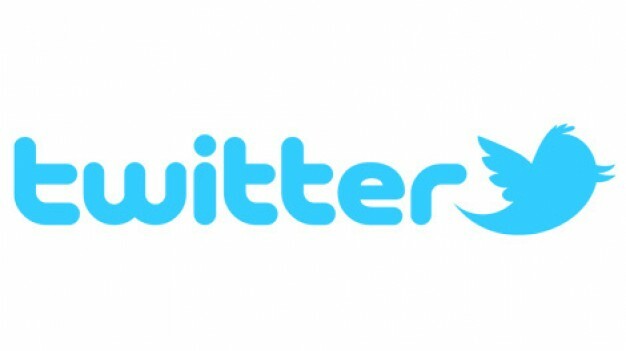 In 1963, after reformation, it received the index P 10, and ceased to exist in 2005. Stefan Karlsson, the director of the Arsenalen museum, served in the P 10 tank regiment. Strv m/38 at Swedish army exercises. The Strv m/38 remained in service for a long time. Tanks with serial numbers 63, 64, 66, 67, 68, 70, 71, 74, 75, and 76 were eventually transferred to the Scanian Cavalry Regiment (Skånska kavalleriregementet, K 2) located in Helsingborg. Two of these tanks remain today: #63 can be seen at the Hässleholm museum and #66 can be seen in Arsenalen. Tank #63 is interesting, since its driving instruments were changed: instead of a steering wheel, the driver had levers. The equipment on this tank also changed during its service. In part, a rack for spare track links was added in the rear. 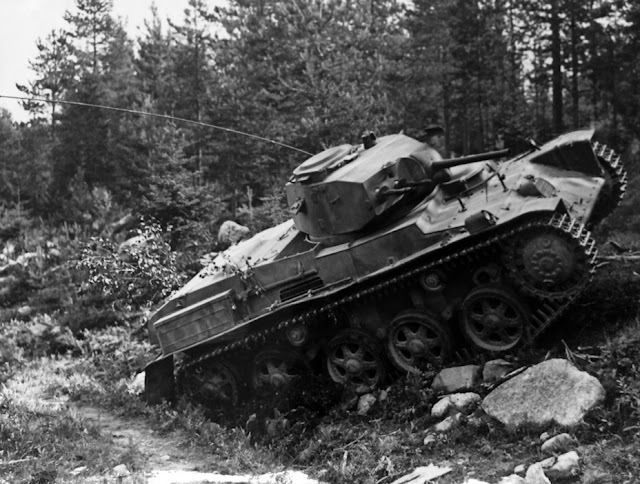 The Strv m/38 was finally written off in 1957. Despite the fact that the turret for tank #62 was not put into production, it did not go unnoticed in Swedish tank building. Landsverk engineers came back to the idea of armament shifted to the side in 1939. One cause of this was the appearance of the German Z.W. medium tank, also known as PzIII. The German tank had not one but two coaxial machineguns, and both could be aimed vertically independently of the cannon. Using the #62 turret as the foundation, Landsverk engineers developed a new design. The gun was moved to the left and two machineguns placed to the right. The front of the turret had to be widened to fit both machineguns. The designers eschewed a single gun mantlet once again. 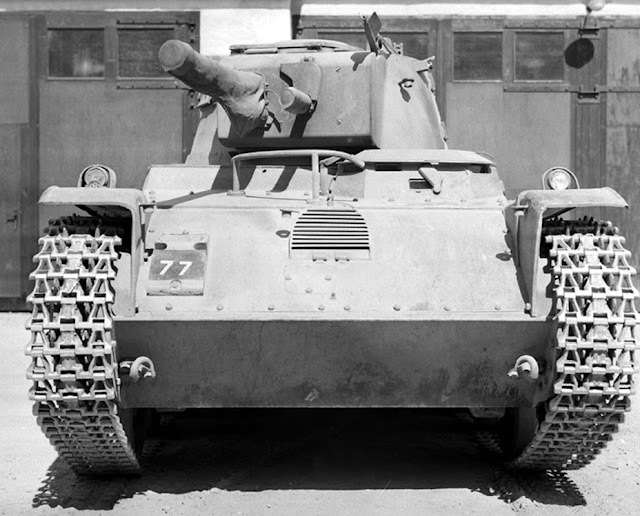 The mantlet of the main gun covered only its port, while the machineguns were placed in ball mounts that were independently protected from the front. The machineguns could be aimed vertically and horizontally, independently of the main gun. 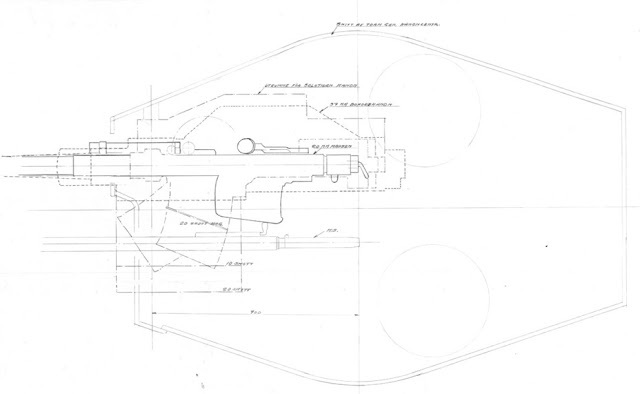 Blueprint of a redesigned Landsverk L-60S turret with two machineguns. Meanwhile, the situation in Europe was heating up. Czechoslovakia was split up and occupied in March, and Germany invaded Poland in September. It was obvious that only a large and combat-capable army could save Sweden. Tanks were an effective, but very expensive way of reinforcing it. Swedish coffers were only capable of making small orders at any time. The government needed a very good reason to authorize a large sum for such a small kingdom. In October of 1939, the commander of the Swedish army, Per Sylvan, asked King Gustav V for 18 million Swedish kroner to purchase 104 tanks. On November 28th, Parliament authorized only 4 million kroner for 20 tanks. Two days later, the Winter War began. This budget speaks volumes about the cost of Landsverk's products. The Swedish kroner was worth more than the French franc, and 200,000 kroner for just one tank was an impressive price. The cost of an L-60 was comparable to a PzIII, even though its combat abilities were closer to that of a BT-7, which cost less than half as much. The Czechoslovakian LT vz. 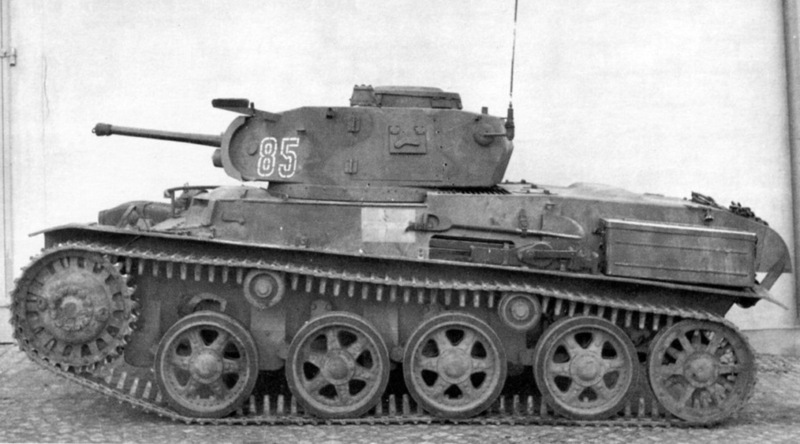 38 was much closer to the Swedish tank's characteristics, and its most expensive variant also cost half as much. It's not surprising that the Swedish military was in talks with CKD, resulting in the adoption of the Strv m/41 tank. Strv m/39 wit serial number 85 in the factory courtyard, 1940. On December 19th, 1939, the Swedish army signed another contract with Landsverk to produce 20 Landsverk L-60/II tanks. This tank was indexed m/39 by the army. The second series wasn't just a repeat of the Strv m/38. Aside from a new turret, these tanks had plenty of changes in the hull and internal components. The designers declined to use a steering wheel and gave the driver ordinary levers. A large transmission hatch made a comeback, and another bowl-shaped hatch was added to the lower front plate. The front of the hull changed. Instead of a jam weld, the lower front plate was now curved. The upper front plate was attached with bolts and could be removed. This decision was odd and did nothing to improve resistance to shells. The engine compartment roof was also made into a more complicated shape, which was formed by stamping. These changes increased the tank's mass to 8.7 tons. Strv m/39 from the P 3 regiment, Strängnäs, 1943. The changes to the front of the hull are clearly visible. It was assumed that the shipments of 20 Strv m/39s tanks would be finished by October of 1940, but Landsverk only managed to complete the order in the spring of 1941. The cause was delays in shipments of Bofors 37 mm guns. These tanks were indexed 80-99 and split between I 9 (future P 4) and I 10 (future P 3) regiments. Later, tanks numbered 90, 91, 92, and 94 were transferred to the K 2 cavalry regiment. A series of changes were made to the engine compartment roof. 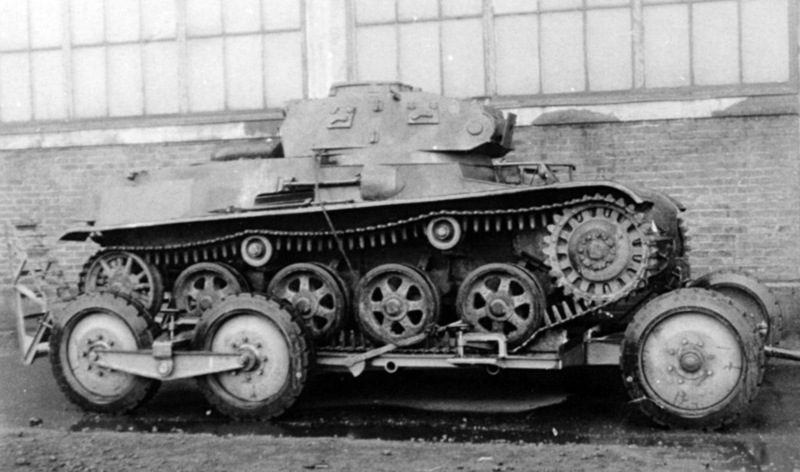 Unlike the Strv m/38, which escaped serious modernizations, the Strv m/39 was changed drastically during the war. The Swedes watched the course of the war and made some conclusions. In part, it was obvious that front armour that was 15 mm thick was not up to modern requirements. 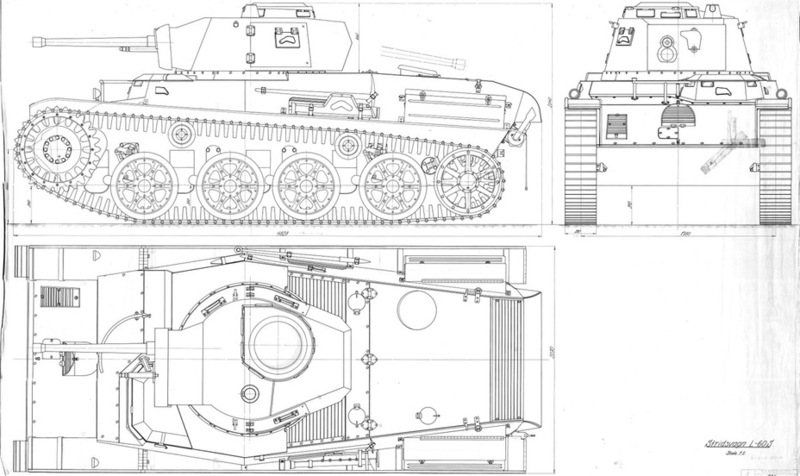 As a result, a program was enacted to improve the armour of the tanks, which was realized on the Strv m/39 and the later Strv m/40 (L-60S/III). Carriers were welded to the upper front plate, and 35 mm applique armour was bolted on. The upper part of the hull and driver's cabin also received additional armour. The gun mantlet was thickened. 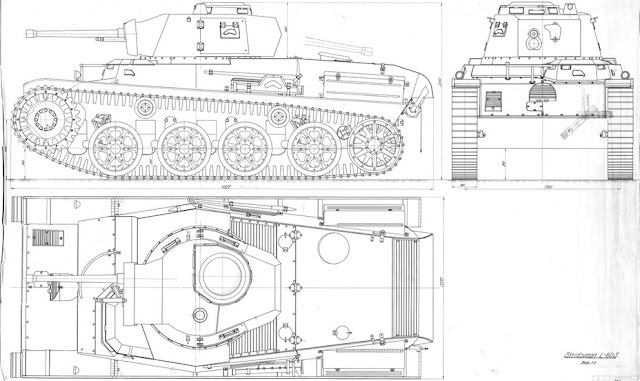 The mass of the Strv m/39 with additional armour increased to 9.36 tons. Thanks to a progressive design, tanks from the 1st and 2nd series served in the Swedish army until 1957. The Strv m/39 served for as long as their predecessors. Despite the cost of these light tanks, they had certain advantages. Reliability was the most important. The Swedish tanks were also very comfortable and easy to use. Even a tall tanker could easily fit into the tank, and internal equipment was well placed. This, plus Swedish prudence, ensured that the last of the tanks were only written off in 1957. Two Strv m/39 remain today. One, with serial number 90, can be seen in the Beredskapsmuseet close to Helsingborg. The second tank, serial number 94, can be seen in Arsenalen. 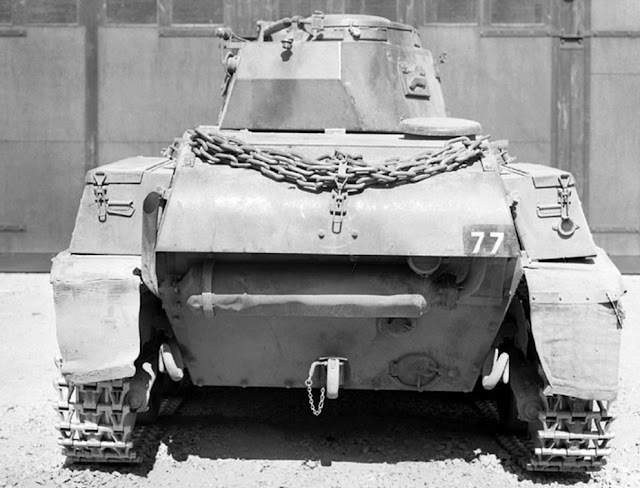 Both tanks were modernized, but the additional armour on the upper front plate was removed. The author thanks Karl Blomster for help in preparation of this article and providing illustrations. A walkaround of the Arsenalen Strv m/38 can be seen here. A walkaround of the Arsenalen Strv m/39 can be seen here.